Kief is a powerfully concentrated form of cannabis, and here are 6 ways that can be used in more ways than just smoking it. Most stoners out there collect their kief in one way or another, but hardly any stoners out there are using it for the multitude of ways it can actually be used. Well, this powerfully concentrated form of cannabis can be used in more ways than just smoking it. For those of you who don’t know, kief is a concentrated form of cannabis. Kief is effectively made by removing the trichomes from the cannabis flowers. Trichromes are the shiny, crystal-like balls that form on the leaves of the cannabis plant, and these crystals contain the highest concentration of cannabinoids compared to any other part of the cannabis plant. By removing these glands from the actual plant material, what you are left with is much stronger than buds. In terms of extracting your own, most smokers will have a grinder that collects kief at the bottom (like the SLX Non Stick Pocket Grinder), and after a couple of months, there is usually enough kief to smoke. However, there are other methods such as using dry ice if you’re looking to have a large amount and fast, but this requires a lot of buds. So now that you know how to make or acquire your kief, now it’s time to learn how to use it! Here are 6 amazing ways you can use your kief. You can smoke your kief, which is what a lot of stoners do. However, this method can be a little messy because of how powdery kief is. So if you’re looking to smoke a joint with your kief, it’s probably even better if you mix it with your buds. This gives something for the kief to sit snugly inside. The best method is to sandwich your kief between your buds and wrap it up in a paper. Smoking kief in a pipe is another popular way to consume your kief. However, it’s really important that you are careful how much you use because it is much more potent than your buds. So if your bowl is big, pack it conservatively. Also, kief manages to stay alight and burning in the pipe basically until it’s burned all the way through, so keep toking away. It doesn’t stop burning the same way that flowers do, so you’ll lose it if you don’t pay attention. Kief also tastes great when vaped in something like the Grizzly Eclipse Vaporizer. 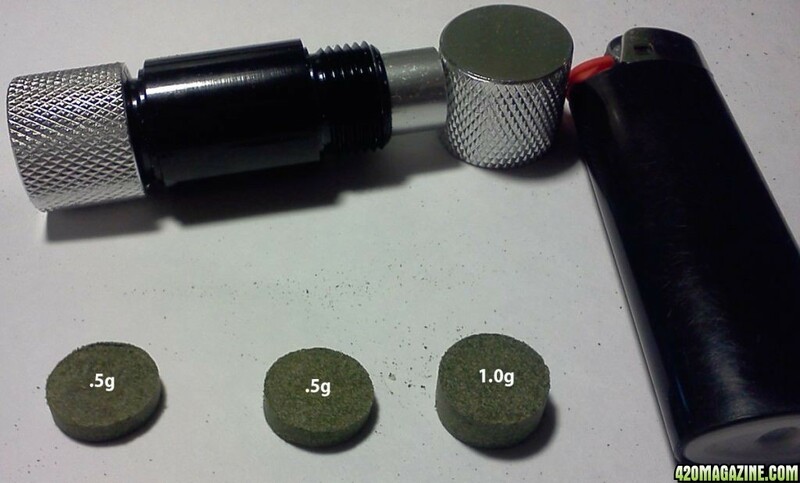 It is entirely possible to create a kind of hash brick with your kief, although it doesn’t provide the best quality hash. For this you’ll need a piece of parchment paper and a hair straightener (or an iron). All you have to do is fold the parchment paper, put the kief inside and press it between the hot plates of the hair straightener. Alternatively you can put an iron over the top. Don’t hold it for so long that the paper burns, but for enough time for the kief to compress into a block and for it to heat a little. Now that it has been heated (otherwise known as decarboxylated), you can use this hash to make tea or sprinkle it on your pizza as seasoning. Otherwise, you can smoke your brick of hash in whatever is your preferred way to smoke! If you have a lot of kief and are looking for a wonderful way to store it, you can do so with pollen pressing containers. They are small metal containers that screw on both sides to create a pressure inside. What this will do is pack your kief into small packed cupcakes that you have already quantified and they are then ready for storage. You can use as little as a 1/4 gram and as much as a couple of grams of kief. All you have to do is put it inside the pollen pressing container, screw in the ends really right, and then when you unscrew and remove the insides, your kief is packed into a perfect little cylinder. This is one of the best things you can do with your kief, especially if you are into vaporizing. E-cig juice is what you fill the cartridge in your electric vaporizer with, and you can now make your own that includes cannabis. What you will need for this method is vegetable glycerin and propylene glycol. These two products can be purchased online pretty cheaply. You’ll also need a coffee filter, some syringes, something to double boil with and, of course, your desired amount of kief. If you like, you can add some e-cig flavor to the mixture if you would like something like a berry or lemon flavor in your final product. A 1-1 ratio of vegetable glycerin to propylene glycol is usually recommended, and you just need to add these to your double boiler. Then add your kief, and allow it to sit over the heat until it is melted and the consistency has smoothed. Add flavor now if you would like to, and let it sit for a few seconds longer. Once this is done, pour the mixture into a coffee filter over a cup or pot so that you can filter out the remaining plant material. This is important because you don’t want any plant material in your e-cig juice! It’s ready to use as soon as it cools a little. Use a syringe to fill up the cartridge for your vaporizer, and enjoy using your own home made vaporizer fluid! Using kief in cooking is another beneficial way to get the most out of your kief. This is especially true because it has a more subtle flavor than buds, meaning it won’t interfere too much with the flavor of your recipe. You also only have to use 1/2 to 1/3 less than the amount of flowers you would usually use. You can even add it to buds to use in recipes if you’re looking to make something more potent. It’s good for making cannabutter, and can basically replace or be an addition to flowers in any cannabis recipe! For other options to collect your kief, check out the Herb Shop. The Santa Cruz 4 Tier Shredder is a good option. 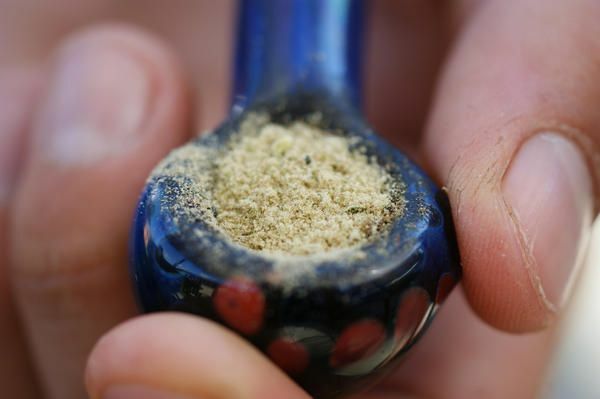 Do you collect kief and use it in any of these ways, or do you have your own kief hacks? Share them with us!